Going camping is always a fun activity, whether it’s a family trip or at a summer camp with friends. It also makes an excellent time to put together a care package with all the most important items to make Camping as exciting and comfortable as possible. It’s easy to get stuck when one has to decide on the right items to take to camp and what items to avoid, but considering the receiver’s likes, needs, and preferences, as well as keeping in mind that Camping can quickly become stressful when you go unprepared usually helps. If you’re looking for some inspiring Ideas to include in a care package for someone who’s about to go camping, here is our list of 200+ Camping Care Package Ideas to start with! 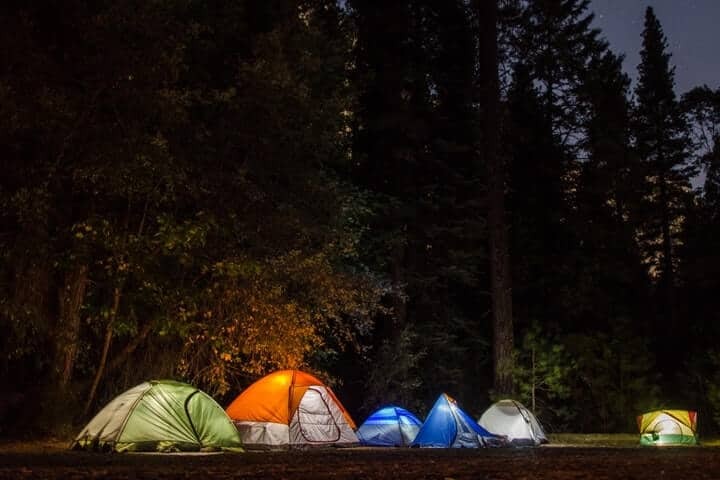 Keep in mind that at most camps, electronic devices are usually frowned upon as Camping is usually a time to connect with your physical environment and those in it. Handheld gaming devices should be exempted from your list, and including items that can be shared with others is always a great idea. Remember to have your package sent out on time if it is to be shipped overseas so that it gets to its destination promptly. Drawing up a budget to clearly define how much you would be spending on purchasing each item, packaging and shipping it to the receiver helps too. Camping Supplies can be picked up from online websites or your local hardware store, grocery store and supermarket. Care boxes can also be purchased at online shipping companies and your local post office if you’d rather not use an old box. You can then decorate your box with colorful tissues, ribbons or markers. If your Care Package is for someone who resides close to you, you can deliver it yourself or make use of a local delivery service. If you’re shipping overseas, you would be expected to fill a customs form and submit specific details such as the receiver’s address, your personal address as well as a list of all the content in your care package. If you’re sending fragile items (mugs, glass bottles), wrap them properly in newspapers and stuff your box to prevent items from shifting around before dropping it off. And that’s it – 200+ Care Package Ideas perfect for going camping to make it as exciting and comfortable as can be. What are your favorite items to go camping with? What are the most important things to include in a Camping Care box to you? Tell us through the comments section!